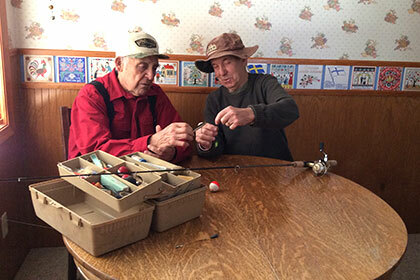 A friendly fishing and family orientated resort, located on Bowstring Lake, offering some of the finest Walleye fishing in Northern Minnesota. In addition to the great fishing, enjoy the heated swimming pool, neatly groomed grounds, courteous hosts and other activities. Just 38 miles northwest of Grand Rapids, MN, you'll be in close proximity to great shopping, culture and golfing. George and Jean Thom have owned and managed Georgene's Haven since 1967. Guests return every year largely because of the gracious and courteous customer service. George can often be found advising guests on fish cleaning, hottest fishing spots and current trends, local folklore or sharing a good cup of coffee. We always appreciate & look forward to new and returning customers. 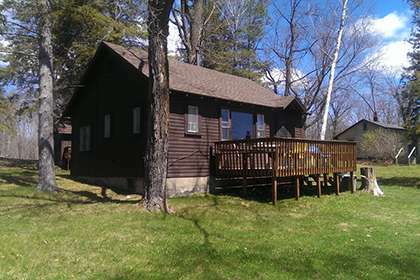 We have two cabins available for the opening weekend of the 2019 fishing season, May 11-12. Don't miss the 2019 Minnesota Fishing Opener. The lake level was up last fall. Everything is pointing towards a good opener. Once again, Georgene's Haven will host a special two-weekend MN Fishing Opener "Bouhaha" event, featuring brats, beer and lots of fun! We're offering special reduced pricing on cabin rental from July 7 to September 9 to celebrate our 50 Years in Business. Check out these great rates! We're also offering cabin rental by the month for even greater savings. View our rental rates. to Georgene's Haven on beautiful Bowstring Lake, traditionally one of the finest lakes in northern Minnesota. This 9,000+ acre lake offers plenty of fishing pleasure and fantastic scenic beauty. Nestled in the heart of the Chippewa National Forest you will often see our Bald Eagles, bear and listen to the calls of the loons. 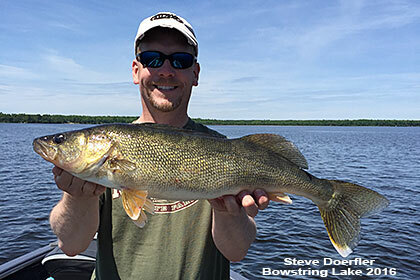 Bowstring Lake has earned a well-deserved reputation for being one of the best Walleye, Perch, Crappie and Northern Pike lakes in the vicinity. 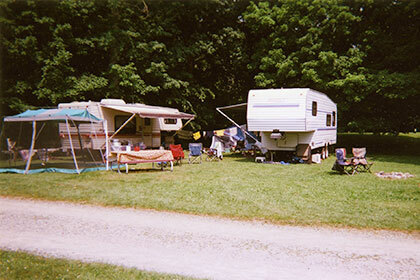 We offer a friendly fishing and family orientated resort. Same owner for 47 years so we feel we offer you continuity and pledge to meet your personal needs. George is usually available to assist you with this. 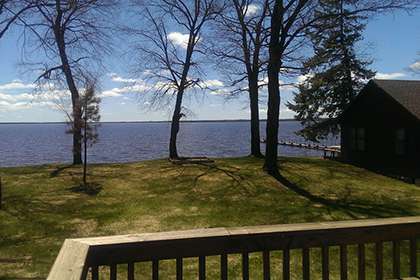 After more than 40 years of coming to Bowstring Lake, we can enthusiastically recommend Georgene's Haven. With excellent fishing, clean & comforatable lodging and hosts that feel like family, there's no other place we would rather spend our vacations. Our family has been coming to Georgene's for many years. The hospitality they show their guests is very welcoming. 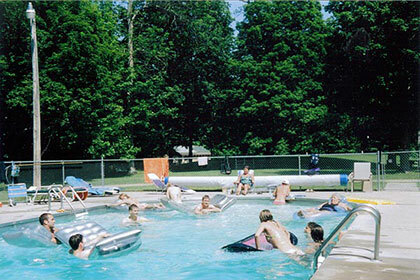 Their resort and cabins are always clean on arrival. A quiet place to relax by the lake and fishing on Bowstring Lake has always been great!